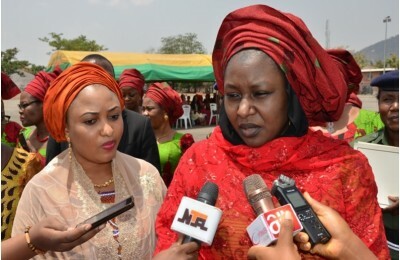 The Wife of the President, Mrs Aisha Mohammadu Buhari has applauded the Nigerian troops for their gallantry which resulted to victory over insurgency in the North East. 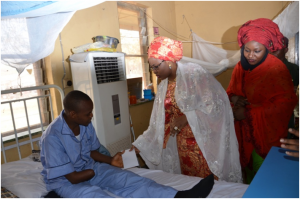 She made this known when she paid a working visit to 44 Nigerian Army Reference Hospital, Kaduna (NARHK) where wounded Officers and Soldiers from the North East are currently receiving treatment. 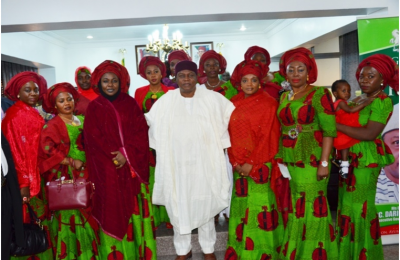 Mrs Aisha Buhari while praying for their quick recovery also committed those in the front line into the hands of the Almighty God. She advised that speedy and prompt payment of entitlement of deceased officers and soldiers to their immediate family will ease their pains. 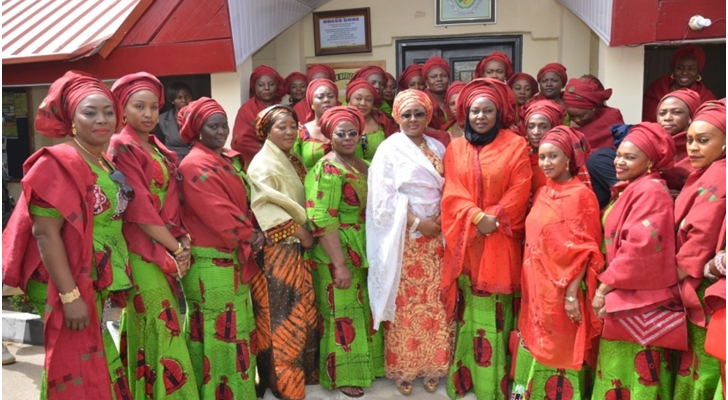 She further commended the Management and Staff of 44 Nigerian Army Reference Hospital for their hard work and care to the victims of insurgency and encouraged them to continue with the good work for the benefit of humanity. 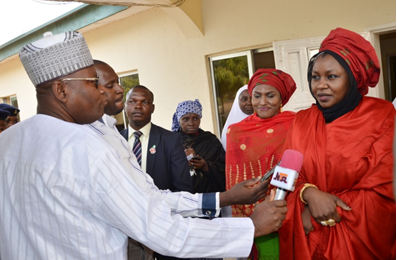 Also speaking, the NAOWA National President, Mrs Umma-Kalsum Tukur Buratai thanked the wife of the President for finding time to visit and show love to the wounded soldiers saying the gesture will strengthen them and contribute to their quick recuperation. 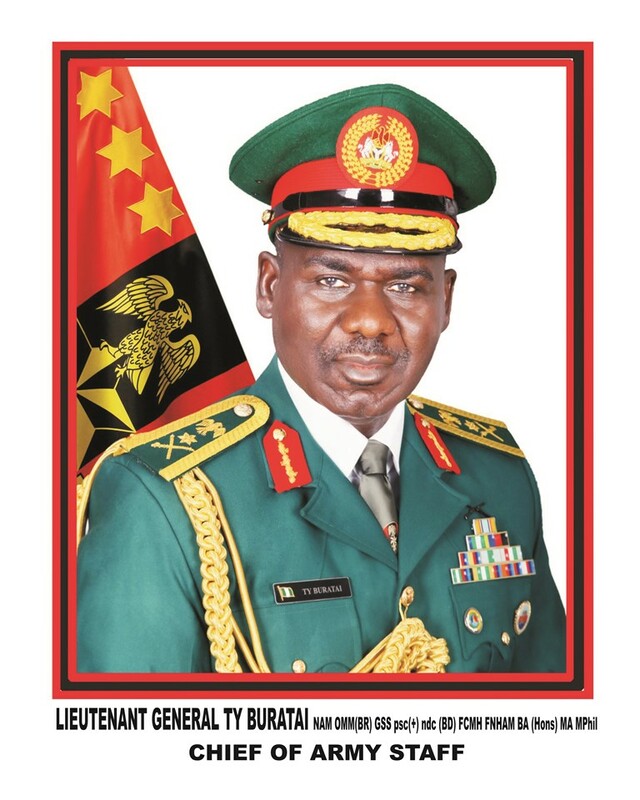 Mrs Buratai called on well-meaning Nigerians to emulate the good gesture of the wife of the President and come to the aid of the wounded soldiers who chose to sacrify their lives for the well being of Nigerians saying that the visit will boast their spirit and morale. 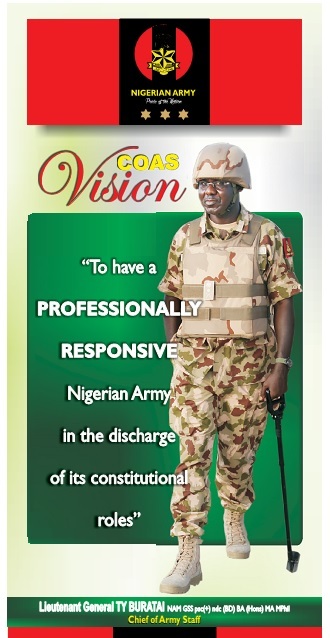 In the same vein, the Corps Commander Medicals, Maj Gen AO Amuso poured encomium on the wife of the President for coming to the aid of the victims saying that it will boast their morale recalling that the President also sent a high powered delegation to asses and proffer solutions to the degrees of injures suffered by the soldiers and other needs of the Hospital. 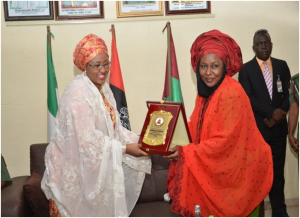 She commended the President and the COAS for making the welfare of Officers and Soldiers fighting insurgency a top priority.